The county’s Tajiguas Resource Recovery Project proposed for Santa Barbara’s landfill is a solid waste management project whose time has passed. Its flaws have been mounting over time, but recent developments spotlight the opportunity to pursue an environmentally superior alternative that will serve our community needs for a longer time at less cost. One of the most controversial aspects of the project is its location — 26 miles away from Santa Barbara on the Gaviota Coast. Not only is it unreasonable to transport all South Coast trash and recycling out to Tajiguas then ship all the recycling materials back on its way to Los Angeles, but the Gaviota Coast is simply unsuited to be a dump site. Instead, its natural and cultural resources make the landfill’s scar a blight on a nationally significant landscape. Large regional landfills do not belong in highly scenic coastal areas, and it is up to our local leaders, guided by the community, to reject the proposed expansion of the Tajiguas Landfill and find better alternatives. Many communities are finding better ways to manage their solid waste and meet new state requirements by collecting and processing kitchen scraps and other pure organic waste generated at restaurants, grocery stores, hotels, schools, and our homes. The most innovative are turning food scraps and yard waste into high quality compost and providing this material to local farmers and ranchers to increase the nutrient value and water-holding capacity of their soil. Not only that but applying compost to rangeland and grasslands stimulates soil organisms and kick-starts the growth of natives and other plants, allowing them to do more of what plants do: Pull carbon out of the atmosphere, and move the carbon through their root systems to store it underground. Based on science and testing here in California, this “carbon farming” technique is recognized in the Paris Climate Agreement as a proven and recommended method to combat climate change by sequestering large amounts of atmospheric carbon into soils for decades. It works particularly well in regions with savanna grasslands, including Santa Barbara County, and several pilot carbon farming projects are in development locally. See cecsb.org/rethink-food/carbon-farming for a simplified explanation and analysis of what’s possible here. Unfortunately, the Tajiguas project wastes the opportunity to use local organic waste for carbon farming and instead proposes to use an anaerobic digester to extract a fraction of the carbon from the organic waste as methane. This methane will be used to generate 1 megawatt of electricity (same as a five-acre solar farm) while emitting the carbon to the atmosphere. It would be far superior to use locally generated organic waste to create high quality compost that both puts carbon back in the soil, thus reinvesting in one of California’s prime resources, and facilitates long-carbon term sequestration to slow or even reverse climate change. The project has other significant flaws. It is very expensive and risky to ratepayers, who face higher rates if it does not perform as expected. Costs have gone up at every step, leading the vendor to convince the county to use municipal bond financing, instead of the private financing that was initially required. The primary vendor is a San Luis Obispo–based investor group that has no track record managing solid waste. 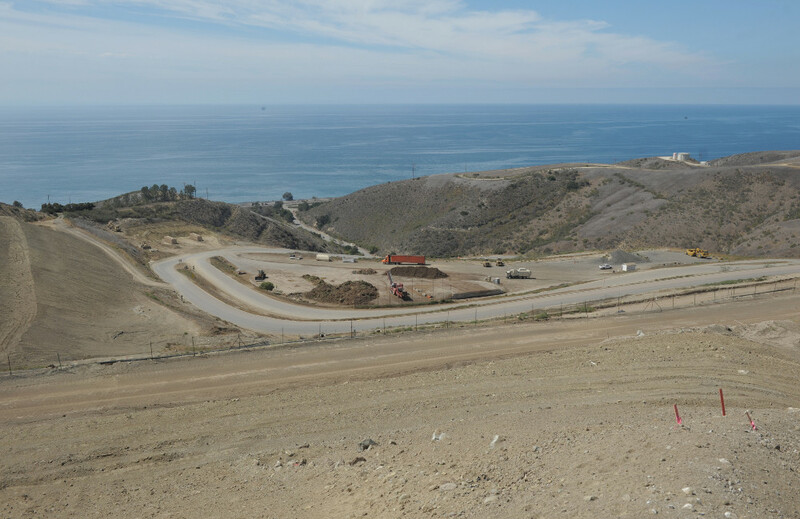 When the Tajiguas Resource Recovery Project was approved late in 2016, it appeared to be a “done deal” until earlier this year when the county admitted it has been using the wrong coastal zone boundary line at the landfill for decades. This means that not only is this project sited partially in the coastal zone but also that major parts of the landfill itself are in the coastal zone – much of it without permits. The county recently disclosed it wants to site part of this project on the adjacent Baron Ranch to avoid the coastal zone. Not only does this threaten the integrity of a publicly owned and accessible ranch on the Gaviota Coast, it also entails a new round of permitting, including CEQA compliance, revised permits and approvals, and revised financial projections. In the meantime, the planned 2017 construction of the Tajiguas project has stopped, and the approvals have lapsed while the county revises the project. Each year of delay subtracts two years from the planned 2036 closure date for the landfill. These developments provide a moment of opportunity for Santa Barbara to choose another path — one that could rely on some combination of enhanced separation of waste streams at the source, advanced sorting technologies, the expertise of a strong community-based waste hauler, new composting facilities, and use of a newly approved, state-of-the-art landfill in northern Santa Barbara County. The contracts between the cities and the county, as well as the one between the county and Mustang Investors, should be terminated due to the mistake in the permitting process. The City of Santa Barbara has declined to begin funding the Tajiguas project until the costs and delays of the revisions are known, and the City of Goleta will consider doing the same on September 5 (where increases of 17 percent are required to fund, in large part, this project). More than 15 years have gone by since the county began exploring this project, and its moment has passed. It is now time to embrace a more visionary, holistic approach to the South Coast’s solid waste stream — one in which we more actively engage the community in reducing waste, put in place more robust source separation, and consider the value of food scraps and green waste in repairing our soils. Sigrid Wright is CEO of the Community Environmental Council; Marc Chytilo is general counsel of Gaviota Coast Conservancy.